Hello Kitty invited us over to her house, and we couldn’t resist. Obviously. 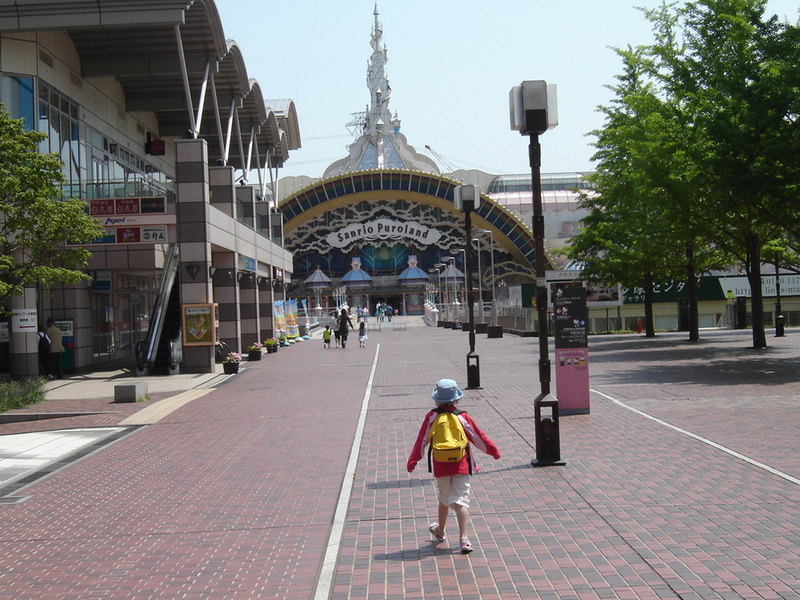 In 2007, I visited Tokyo with my (then) six year old daughter in tow. We created an itinerary that catered for both our interests. She – patiently – accompanied me on a long browsing expedition to Akihabara. 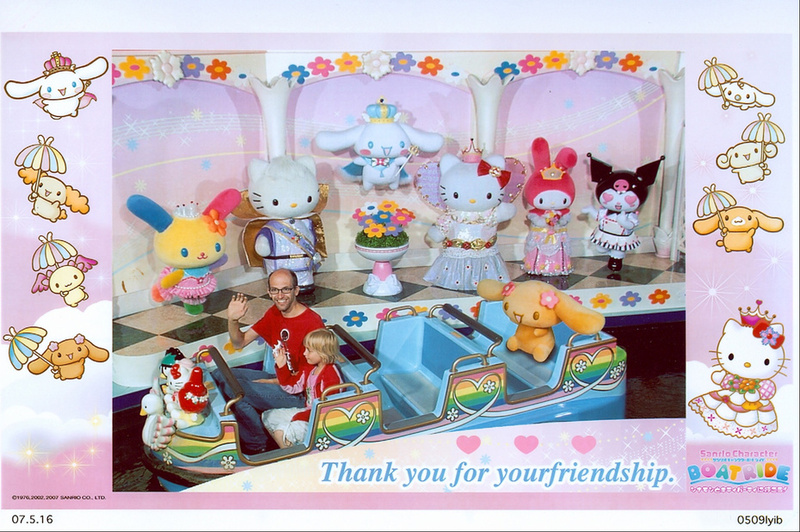 I escorted her to a few of her favorite hot spots, including: the Pokemon Store, Kiddy Land near Harajuku and – to top it off – Sanrio Puroland. Being totally into Hello Kitty and all other *kawaii* Sanrio merchandise, she expected this to be heaven. And it came close. 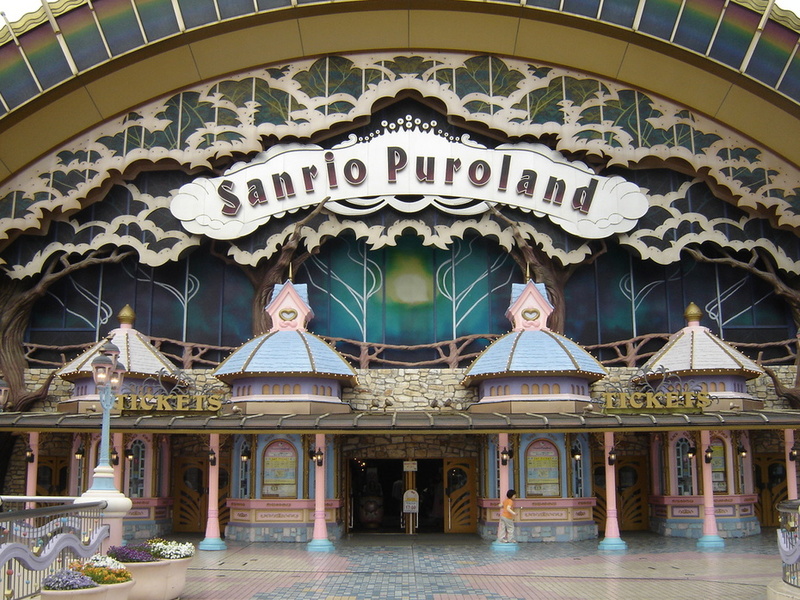 Puroland is an indoor theme park. 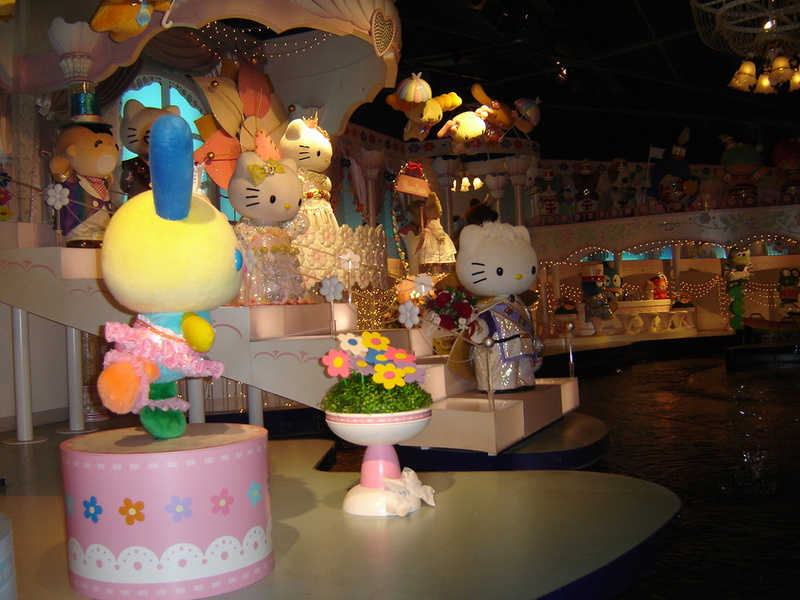 It has some (very child friendly) rides and areas to explore; filled to the brim with Sanrio characters. There is a parade in the afternoon, and a number of theater shows throughout the day. These shows are of a high standard, with live acting and singing. Be aware that it’s all in All Japan newsese only, though. On the top floor is the biggest Sanrio store you can imagine. It nearly broke my wallet. It is not very big. Expect to spend half a day to get a good taste of it, or a full day if you want to see all shows. We really enjoyed it, and if you or your children are into Hello Kitty or any of her Sanrio friends (My Melody, Pochacco, Pekkel, Little Twin Stars, Badtz-Maru, Keroppi, Cinnamoroll, etc) I can recommend it. I am not sure how boys will react to the sugary, lovely atmosphere. I did not see many there. 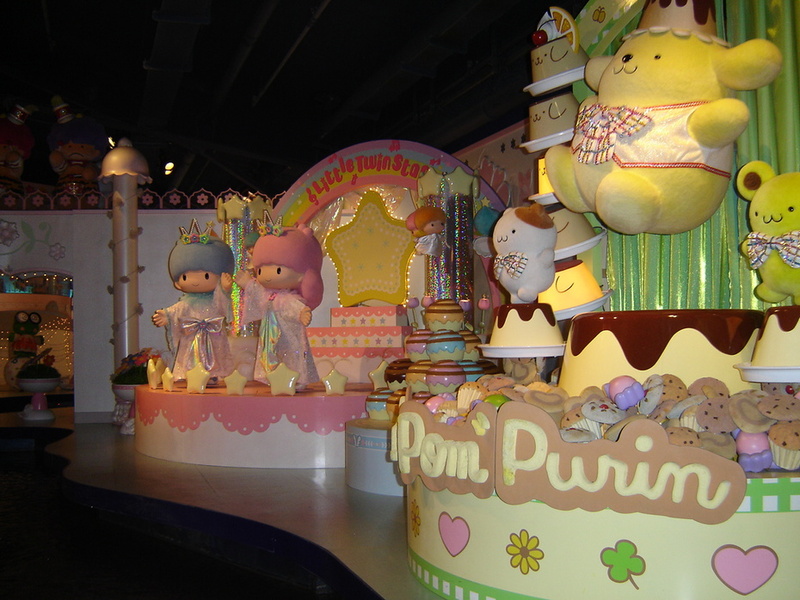 Sanrio Puroland is located on the west side of Tokyo, near the Tama Center. It can be reached from Shinjuku using the Odakyu Tama Line (to Odakyu Tama Center Station) or the Keio Sagamihara Line (to Keio Tama Center Station). Another option is to take the Tama City Monorail (to Tama Center Station), from Tachikawa on the JR Chuo line. For more info check out the official Sanrio Puroland site. You can get various different tickets. We bought the all inclusive *Passport* ticket, which gives you access to all rides and shows. If you book it online in advance, you save some money. Approaching Puroland. Will Hello Kitty be home? No queues. It is all a bit less hectic than – say – a visit to Disney Land. You are even allowed to take a peek into Hello Kitty’s home. 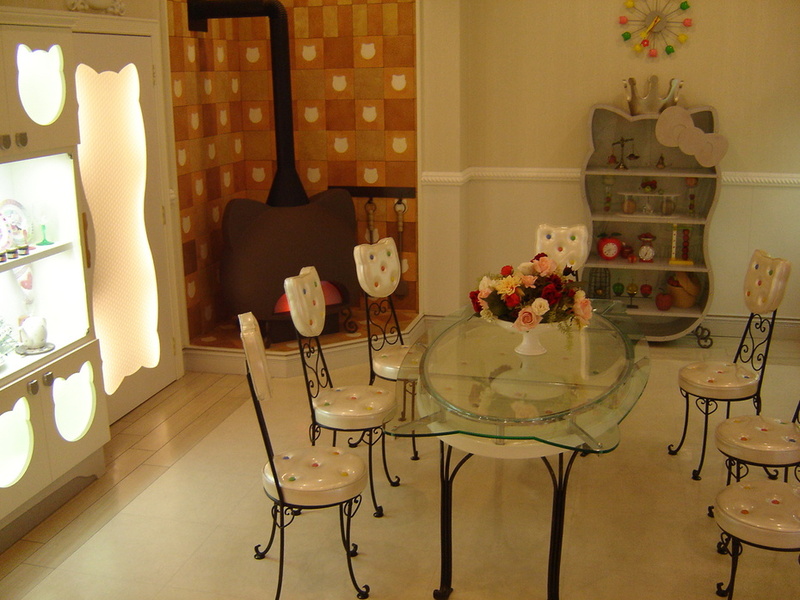 Dining area in Hello Kitty’s home. 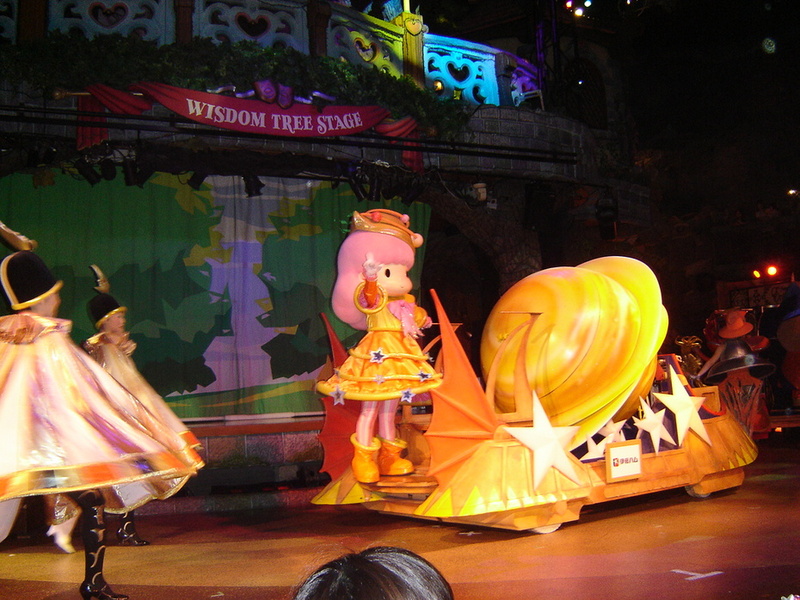 In the afternoon, all characters take part in a lovely parade. 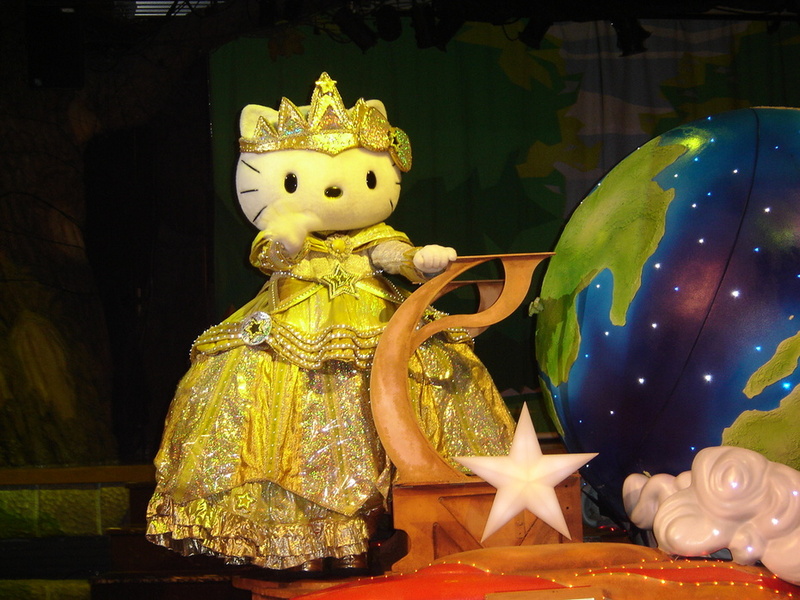 The main star of the parade: Hello Kitty herself! Puroland is the kind of place where you have a smile on your face all day, until it hurts. You simply cannot help it. Look at me grinning! 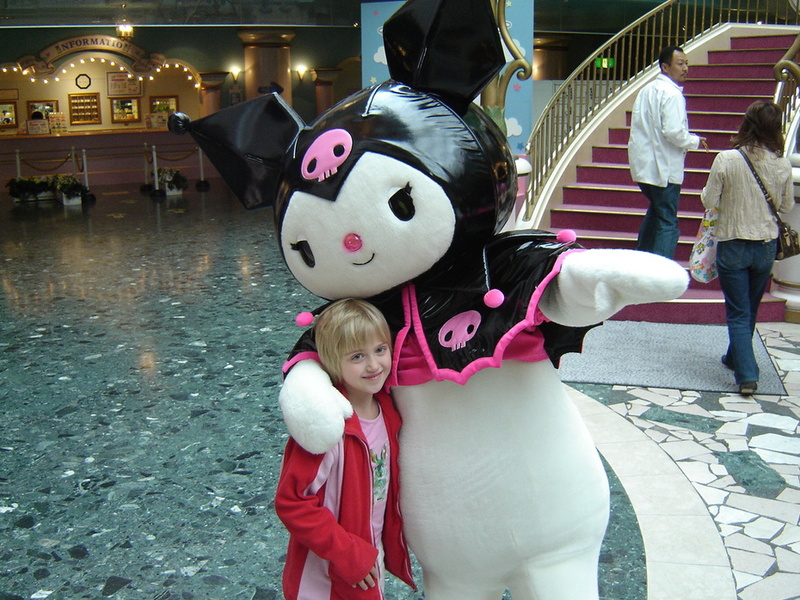 The highlight of the day for my daughter: a hug by Kuromi, her favorite character.